We must look squarely into our own tired eyes and examine why we waste so much time sniffing at every distraction, why we cower at the thought of revealing our true selves to the world, why we scurry so quickly from conflict, and why we consent to play small. We must ask why we participate so humbly in society’s frantic race, allowing ourselves into its mazes of mediocrity and settling for scraps of reward when nature has offered unlimited freedom, power, and abundance to the bold, the determined, the creative, the independent—to each of us. We must ask if our desires to feel safe and accepted are in fact enslaving us to popular opinion—and to boredom. We must ask: When will we be ready to ascend to another level of existence? We must declare our personal power and freedom. We hold these truths self-evident: That all men and women are created equal, though we do not live equal lives due to differences in will, motivation, effort, and habit. That we are endowed by our Creator with certain inalienable Rights, that among these are Life, Liberty, and the pursuit of Happiness, but that it is incumbent upon each of us to be vigilant and disciplined should we wish to attain such a vital, free, and happy life. We believe the greatest of human powers is the ability to independently think for ourselves, to choose our own aims, affections, and actions. For in the hearts of humankind lives a natural instinct for freedom and independence, a psychological predisposition for self-direction, a biological imperative toward growth, and a spiritual joy in choosing and advancing one’s own life. It is the main motivation of humankind to be free, to express our true selves and pursue our dreams without restriction—to experience what may be called Personal Freedom. 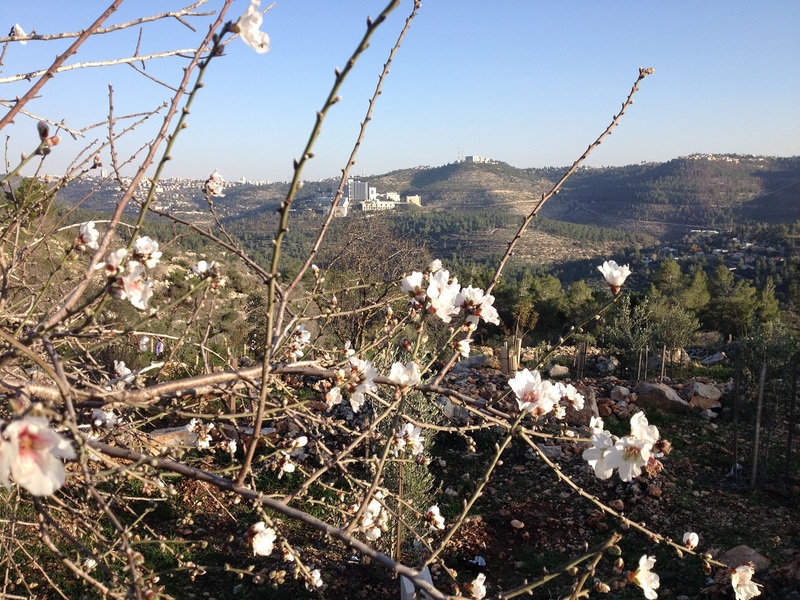 Early blossoms appear on almond trees at the Sataf, on the outskirts of Jerusalem. When a long chain of self-oppressions and social controls has reduced our strength and independence, it is our right—our duty—to throw off such a life, rise anew, and charge unencumbered through the gates of greatness. We have patiently suffered long enough, hoping that someone or some kind of luck would one day grant us more opportunity and happiness. But nothing external can save us, and the fateful hour is at hand when we either become trapped at this level of life or we choose to ascend to a higher plane of consciousness and joy. In this ailing and turbulent world, we must find peace within and become more self-reliant in creating the life we deserve. This will be a difficult effort, as the history of our actions too often tells a tale of self-injury and unhappiness, stemming from our blind desire to be judged worthy, acceptable, and lovable by people who hardly know our true hearts and powers. And so we have kept ourselves down: We forgot to set clear intentions and standards, and too often failed to voice our desires and dreams. Randomness and mediocrity too often ruled the day, and the loud and the needy dictated who we were and what we should do—our lives becoming subject to the tyranny of fools. If we can be vulnerable and brave enough to admit such missteps, we might see the potential we left unrealized; we might see a shining new path. We are too often lost in the abyss of unawareness. We regularly miss the energy and blessings around us, and the importance of this very moment. It’s as though we prefer to be elsewhere doing something else, as if we are living in distant time zones, hours behind or ahead of the joyous tick and bliss of Now. We have forgotten that the natural foe to life is not a distant death, but a present, in-the-moment detachment from living. Should we wish to be free and alive with full power, we must decide to bring the full might of our conscious mind to the present experience. We must choose to feel again. We must set intentions for who we are, for what roles we wish to serve, for how we’ll relate with the world. Without a vibrant awareness, we cannot connect with others or ourselves, nor can we meet the demands of the hour with grace. For this, we now declare: WE SHALL MEET LIFE WITH FULL PRESENCE AND POWER. We have ceded control of our daily lives. Amid incessant distraction, our discipline in pursuing high ambitions has vanished. The white space of a free day seems unfathomable because we have become hypnotized by a false but compelling need to respond to all the needs of others. We are pulled at from every angle, torn from meaningful efforts by frivolous pursuits or false emergencies, and we are often unsure how to balance our lives with the needs of those we love. We are too often detached from what is most worth fighting for; our busywork consumes our day but it is not our life’s work. Most do not feel a stark, stirring life purpose—they don’t hunger for it in the morning or orient their day to its pursuit. A life of greater joy, power, and satisfaction awaits those who consciously design their life. For this, we now declare: WE SHALL RECLAIM OUR AGENDA. Something inside is sabotaging our natural drive toward freedom. It whines and roars for us to stop whenever we push beyond our comforts; whenever we choose to be authentic and loving in a scary world; whenever we seek to make a difference at the cost of our own position; whenever we desire something magnificent that, to obtain, would require hardship and work. Our internal demons poison us with worry and fear whenever we might be vulnerable, stunting our growth and vitality. Our destiny is decided by how well we know our demons of Doubt and Delay, how well we defend against them, and how many battles we win against them each day of our lives. Without self-mastery, we are slaves to fear. With it, greatness and transcendence are ours. For this, we now declare: WE SHALL DEFEAT OUR DEMONS. Most of us are not maturing as fast as we are able. We are on constant pause; we wait and we wait, to find out who we are, to declare our dreams, to struggle for what we want, to open ourselves fully to love and to life. We await personal courage to arise within us, or for society to grant us some ill-defined permission to activate our potential. We have forgotten that courage is a choice, and that permission to move forward with boldness is never given by the fearful masses. Most have forgotten that seeking change always requires a touch of insanity. If taking action before the perfect conditions arise, or before we receive permission is unreasonable or reckless, then we must be unreasonable and reckless. We must remember we are not the sum of our intentions but of our actions. Bold and disciplined initiative is our savior; it allows us to rise, to leap, to soar to the heights of true greatness. We must not lose the urgency of this moment as it begs for us to begin something grand and important. For this, we now declare: WE SHALL ADVANCE WITH ABANDON. We are exhausted. All around us we see faces that look weathered, drooped, stern. We hear conversations that sound increasingly quiet and resigned, like whispers from a tired, disbanding tribe. The emotional energy of the world is flatlining. Well-being has been cast aside for wealth; success favored over sanity. In the process, some have turned cold toward life, and toward others. Where is the energized, heightened, exhilarated pulse one would expect from such a chosen and capable people? Why do we not hear more laughter and life? Where is the vibrant, mad fury and passion of the fully engaged human? Where are the people burning with charisma and joy and magnetism? Where is the appreciation for life’s spark? We must re-examine our attitude toward life. Our supreme duty must be to rekindle the magic of life. For this, we now declare: WE SHALL PRACTICE JOY AND GRATITUDE. We compromise too easily when life becomes difficult. Most sacrifice individuality and integrity without a fight, although arrogance prevents seeing this truth. Too many of us believe ourselves strong when a long gaze across our lives would sight a pattern of quitting or withdrawing too soon, often when our loved ones needed us to be strong or right when our dreams were just within reach. For convenience or the wide smile of popularity, we waffle on our word and give up what we truly believe in. But there is a nobility to those who do not let neediness or desperation compromise who they are. We must not follow any impulse to be weak or heartless. Instead we must have a strong refusal to break, choosing that mighty lift of courage, that soaring commitment to love, that grand ascent to the realm of character that is congruent with our highest values. Freedom and victory belong to those who remain true and strong despite temptation. For this, we now declare: WE SHALL NOT BREAK OUR INTEGRITY. Generation after generation is failing to hold the line on the ideals and virtues of humanity. The low hum of mediocrity and the heinous pitch of narcissism have replaced what was once the chorus of society singing to virtue, progress, and selflessness. Our talents and collective focus are not fully invested in personal mastery and social contribution but squandered on voyeurism and base sensationalism. Too often we don’t call out a wrong or expect ourselves or others to act with routine integrity, excellence, or love. There has been a worldwide failure in leadership, birthing an apathetic populace, unjustifiable poverty, unconscionable greed, and a globe ravaged and booby-trapped by war. So many people are afraid to demand more—to dare, as have the great leaders of the past, to incite the direction-less with bold challenges to rise and contribute. We must do better. From the squalor of a contaminated moral environment must surface an honorable few, unafraid to challenge the direction of the world. History shall fill in the wake of our actions, so let us be purposeful and let us be great. For this, we now declare: WE SHALL INSPIRE GREATNESS. 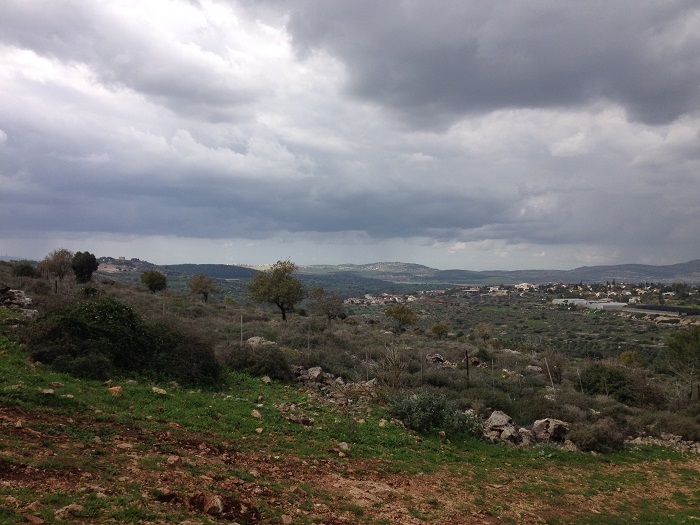 Tzippori Forest, in northern Israel, taken from the Israeli National Trail. Hurry has become the master. We have stopped sensing the stillness, the stunning fullness and beauty and divine perfection of the moment. Most barrel through life, unaware of their senses and surroundings, deaf and blind to the magical qualities of … this … very … moment. We are not supposed to miss it all, this life, but we do, all frazzled, stressed, and stripped away from Now. The cost is immense—so many moments blurred by speed and worry and panic, all stacking onto hectic days, all creating the catastrophe of an un-experienced, joyless life. Many can only vaguely remember the last time they laughed so hard it hurt, loved so much it led to a beautiful flood, cheered so loudly it strained the vocal chords, felt so deeply it caused a showering of tears, had such a raucously good time that it became legend—moments fully lived. We must s – l – o – w it all down, not just to become more present in the singular moment, but also to elongate that moment so that we truly sense it. Life is meant to be a vibrant, deeply felt, growing mosaic of long, meaningful moments. This day is to be enjoyed like a pause at a cool stream during summer’s heat. For this, we now declare: WE SHALL SLOW TIME. Most of these problems in our lives have been self-imposed. Yet even when we became conscious of them, we sought change in the most humble terms: we set realistic goals and worked to achieve them. But fearful of unleashing our full power, we saw our will fade, we aimed low, and even our mighty efforts were dampened by distraction or the criticisms of a conformist culture. We complained with angst and anger that it should be easier, forgetting that much of the negative energy that pervades our lives comes from despising the inevitable hardships of change. Let us remember that humanity’s story has only two perennially recurring themes: struggle and progress. We mustn’t wish the end of the former, as the latter would be buried alongside it. And so let us be clear that the small, complaining, undisciplined part of ourselves—the distracted character wanting nothing but convenience and ease—is unfit to be the ruler of our new destiny. Nor can we allow apathetic, small-thinking men and women to lay waste to our future. We mustn’t let social pressures poison our potential. Surely, we have warned others from time to time that we do not care what they think or that their judgments of us are unwarranted. We have often complained, made kind requests of others, or reminded people of the circumstances that made us want to improve our lives. We have appealed to their magnanimity to be gentler or more supportive, and we have asked them as kindred spirits to stand with us against those who interrupt our charge. Yet too often others have been deaf to our true voices. They didn’t believe in us or support us or cheer us on when it mattered most. We must, therefore, not await their assistance or approval any longer. We must hold them, as we hold the rest of mankind, enemies in battle should they stand in the way of our dreams, but in peace and assistance, friends. Let us awaken now and realize there is greater vibrancy, joy, and freedom available to each of us. There is more feeling. There is more power. There is more love and abundance. But gaining access rests on our shoulders, for only two things can change our lives: either something new comes into our lives, or something new comes from within. Let us not hope for mere chance to change our story; let us summon the courage to change it ourselves. Some will stand in our way, but we mustn’t hide or minimize ourselves any longer. Let us believe faithfully that our dreams are worth any struggle and that it is our time to free ourselves and rise to glory. WE THEREFORE, as free women and men of courage and conscience, appealing to our Creator for the strength to live our intentions, do, in the name of our Destiny, solemnly publish and declare that our lives are—and, of right, ought to be—free and independent. We declare that we are absolved from allegiance to those who oppress or hurt us, and that all social connections between us and them are and ought to be totally dissolved, and that as free and independent persons, we have the full power to exert our true strength, live our dreams, find peace, create wealth, love openly those who have our hearts, contribute without fear or permission, strive for personal greatness, serve the common good, and do all other acts and things that independent and motivated persons have the right to do. And for the support of this Declaration, with a firm reliance on the protection of divine Providence, we pledge our Lives, our Fortunes, and our sacred Honor. Brendon Burchard a New York Times bestselling author and world reknowned motivational speaker. “The Declaration of Personal Power” is the opening chapter of his new book The Motivation Manifesto. Free copies of this powerful book are available at The Charged Life. Only a nominal shipping and handling fee is charged to receive the book anywhere in the world, including Israel. Log in | Register |	88 queries. 0.598 seconds.